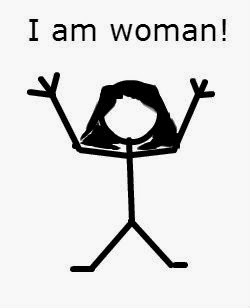 Feminism - a four syllable word that lacks a decisive definition, evokes emotions from absolute devotion to absolute hate as well as everything in between, separates families, brings together communities, and occasionally creates bursts of chaotic debate on the political scene. There is even debate as to who first coined the term "feminism". Some people credit French philosopher Charles Fourier with creating the term in 1837, while the Oxford English Dictionary lists its first appearance in 1895. Despite the history of feminism, I face the question of whether or not I want to call myself a feminist, especially after the controversy with Emma Watson. The hatred and vitriol spewed towards her for speaking about equality among men and women is daunting, and I wonder if such a response would have happened if she said the same things, just not under the 'feminism' banner. You see, I believe something quite similar. I think that women should have equal access to opportunities; albeit I firmly believe that the majority of women will not use the opportunities like men do. Why? Because men and women are wired differently from somewhere around the eighth week after conception and on. We don't think the same way; we demonstrably don't feel the same way. We generally want different things out of life. But the majority does not mean every individual. Some women want to climb corporate ladders, fix cars, do extreme sports, become neurosurgeons, or whatever field where men currently dominate. That's where I think we need to have the opportunities for the women who want to put in the time and effort to succeed in these fields. However, I have a problem with the way most feminists judge success - money. All of the studies that I've seen where women are compared to men use salary as the gauge. But what about the non-tangible rewards? Maybe a woman is paid less because she doesn't work as much overtime, instead she goes home to her family to strengthen her family bonds. That in itself is a reward - a huge reward to some of us. Years ago, I worked in the tech field. I quit my job when I moved in with my husband, because he had a son from his previous marriage who needed someone at home to take care of him. I thought long and hard before taking that action, but I never regretted putting family before career. While this lead to a substantial cut in pay, it also lead to a substantial increase in happiness for me and my family. I think we need something else to measure to determine equality, not simply money. But back to the question, I think that we need a new word for what I believe. Maybe, equalism? While I agree with several tenants of feminism, I cannot call myself a feminist. Rather, I choose not to call myself a feminist. Again, why, you ask? Feminist levee hatred and vitriol towards me because I used the choice of career or family, and I chose family. I cannot tell you how many times I have fielded dumbfounded questions from a feminist asking, "How could you quit your job? Especially over a stepson?" I'll spare you the rant I've developed over the years, and just say that a choice is not a choice if a person must pick only one answer. So, while I am all for equal opportunities for men and women, I think I'll pass on feminism for now.